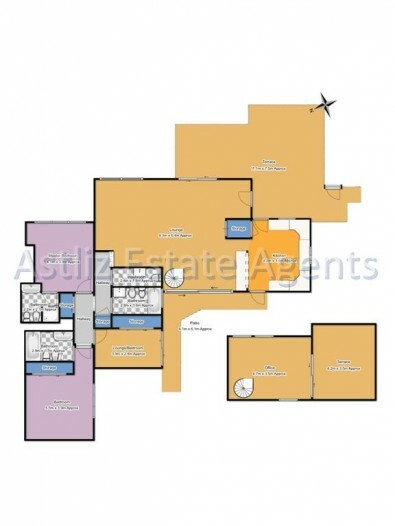 Prestigious top level penthouse apartment with three bedrooms, three bathrooms two ensuite, plus WC. Open plan 52M² lounge and dining area with fantastic views to the sea and cliffs of Los Gigantes. There is a spiral staircase from the lounge to an additional bedrooom/office of 19M² with a private terrace of 18M². Fully equipped kitchen with views to the gardens and heated communal pool. The surround terraces give an option of sun or shade throughout the day. Owner parking within the secure complex. Very quiet location.